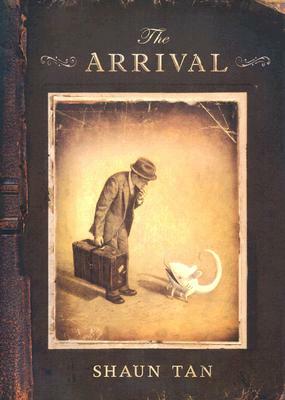 The Arrival, by Shaun Tan, is the wordless story of a man who leaves his home and emigrates to a new country. So simple, so universal, but the reader wonders: is it history? Science fiction? Fantasy? Fable? What are these strange machines and bizarre creatures? How will the man survive in this weird new world, and how do the stories of other immigrants weave with his? This book will take you maybe 20 minutes to read, but you will want to go back and reread it a few more times to really appreciate the artwork. And if you know anyone who’s new to this country, this would make the perfect gift. Every so often, someone will approach me at the library and ask for information about Nikola Tesla, often in the kind of knowing way that people ask about Bigfoot or aliens, rather than a scientist and inventor. Occasionally they’ll bend close and add in hushed tones that they want the straight dope about his death ray, earthquake machine or some other wildly fantastical top secret gadget. So just who is this mythic modern Prometheus whose wild inventions, preternatural genius and poignant life have proved so fascinating to so many? Author rablogsplPosted on April 6, 2008 June 6, 2014 Categories BOOKS, Fiction, LISTS, Nature & Science, NonfictionTags book lists, David W.Leave a comment on Tesla in the air! Magical Realism, beyond Latin America. Authors such as Isabel Allende and Gabriel García Márquez are well known for their wonderful stories rich in metaphor and infused with a sense of magic. The titles below are similar in style, but are written by authors from cultures other than those of Central and South America. 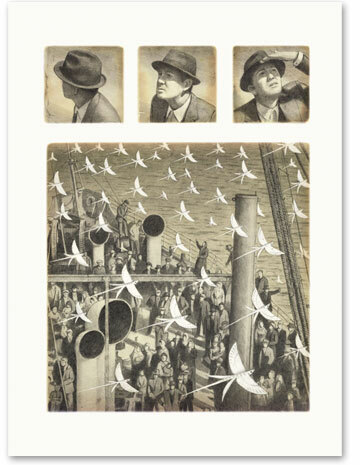 The Cloud Atlas by Liam Callanan. Louis Belk remembers his bomb disposal assignment in Alaska during World War II and the ethereal Japanese balloon bombs he was sent to find and disable. He finds instead a lovely and mysterious landscape rich with culture and impossible to leave. Author rablogsplPosted on April 4, 2008 June 6, 2014 Categories BOOKS, Fiction, LISTSTags Jen B., magical realism, surrealismLeave a comment on Magical Realism, beyond Latin America. Wine is happening in Washington in a big way! And this coming weekend is a primo opportunity to check out brand new wineries and varietals or old favorites. The Washington Wine Commission is sponsoring Taste Washington, including a Grand Wine Tasting at Qwest Field Event Center on Sunday, April 6 from 4-8 p.m.
Who knew there were nearly 500 wineries and nine distinct recognized wine growing regions in Washington? Over 200 wineries will be there at the tasting, along with 50 of the region’s top restaurants, to tempt your palate. You’re going to need to come up with a strategy and pace yourself to avoid overload. There are guides available at the library and on the Web to help you plan your own wine tour to any of the wineries you discover at the tasting. My local eating adventures have led me to think about issues such as who has access to local food, how housing developments are eclipsing nearby farmland and if another flood like the one in Lewis County is apt to destroy more farms and dairy herds anytime soon. I’m certainly not the only one. For decades Francis Moore Lappé has been an advocate for the hungry and has questioned food production politics with scarcity, inequity and sustainability in mind. Building upon her first best-selling book Diet For a Small Planet (1971) she has written many more including Hope’s Edge: the next diet for a small planet with daughter Anna Lappé and most recently Getting a grip: clarity, creativity, and courage in a world gone mad. Francis Moore Lappé will be in Seattle on Friday, April 11 to talk about the importance of local food policy in conjunction with a City of Seattle Local Food Action Initiative that is represented by Resolution 31019. She will speak at Seattle City Hall at noon and 5:00pm. She will also be speaking, along with other local and national sustainability advocates, at the Seattle Green Festival on April 13th.